Taz'dingo! 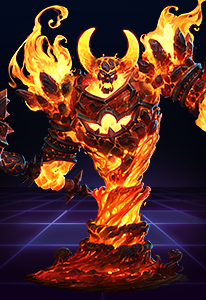 For the next 4 seconds, Zul'jin is Unkillable, and cannot be reduced to less than 1 Health. Taz'dingo! 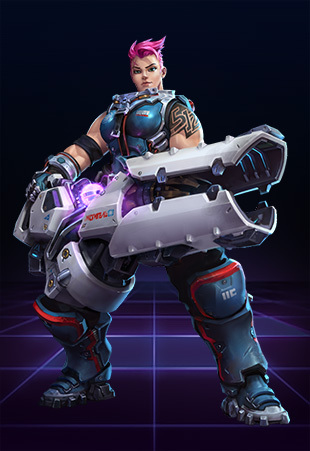 Guillotine Zul'jin launches a massive axe into the air that drops on the targeted area, dealing 330 damage plus bonus damage the lower his Health is. 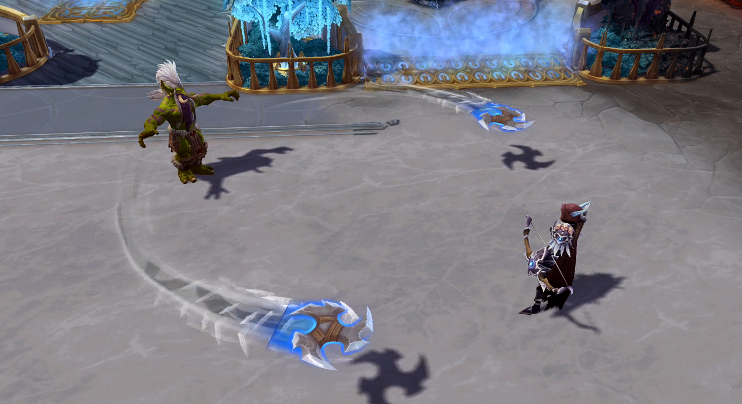 Grievous Throw Zul'jin throws an axe forward, dealing 125 damage to the first 2 enemies hit and marking them for 6 seconds. 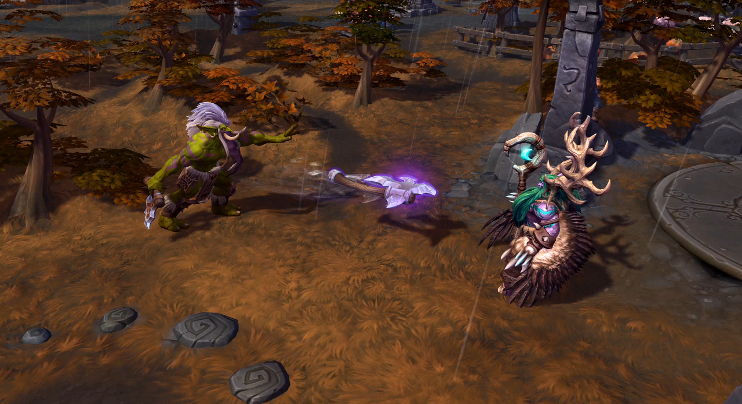 Marked enemies take 50% bonus damage from Zul'jin's next 3 Basic Attacks against them. Twin Cleave Throw 2 axes in a large, circular arc, dealing 112 damage and Slowing affected enemies by 15% per axe for 2 seconds. 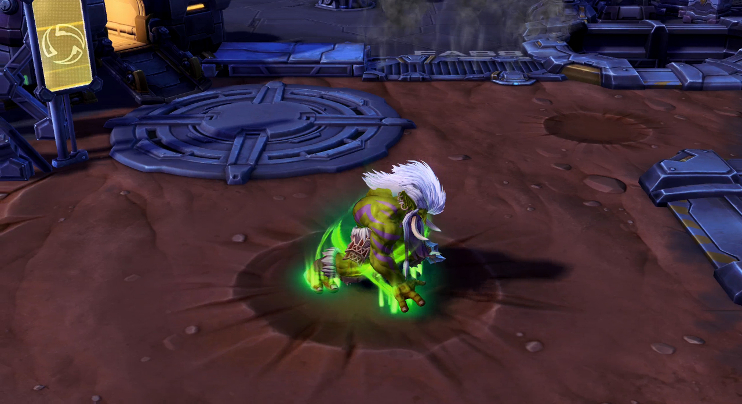 Regeneration Zul'jin channels to regenerate 30% of his maximum Health over 4 seconds. 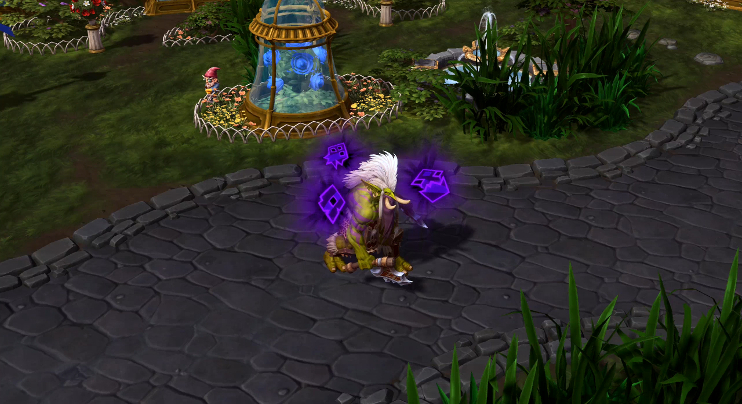 Moving while channeling or taking damage will interrupt this effect. Berserker Activate to increase Basic Attack damage by 25% but consume 2% maximum Health per attack. Passive: Zul'jin attacks 1% faster for every 1% of maximum Health missing. You Want Axe? Quest: Every 5 Basic Attacks against Heroes permanently increases Basic Attack damage by 1. Reward: After attacking Heroes 75 times, Basic Attack range is increased by 1.1. Reward: After attacking Heroes 150 times, Twin Cleave now revolves twice. Activate to increase Basic Attack damage by 25% but consume 2% maximum Health per attack. Passive: Zul'jin attacks 1% faster for every 1% of maximum Health missing. You Want Axe? Quest: Every 5 Basic Attacks against Heroes permanently increases Basic Attack damage by 1. Reward: After attacking Heroes 75 times, Basic Attack range is increased by 1.1. Reward: After attacking Heroes 150 times, Twin Cleave now revolves twice. 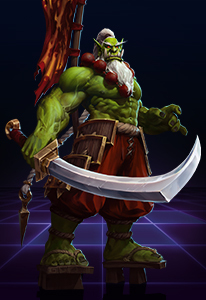 Zul'jin throws an axe forward, dealing 125 damage to the first 2 enemies hit and marking them for 6 seconds. Marked enemies take 50% bonus damage from Zul'jin's next 3 Basic Attacks against them. Throw 2 axes in a large, circular arc, dealing 112 damage and Slowing affected enemies by 15% per axe for 2 seconds. Zul'jin channels to regenerate 30% of his maximum Health over 4 seconds. 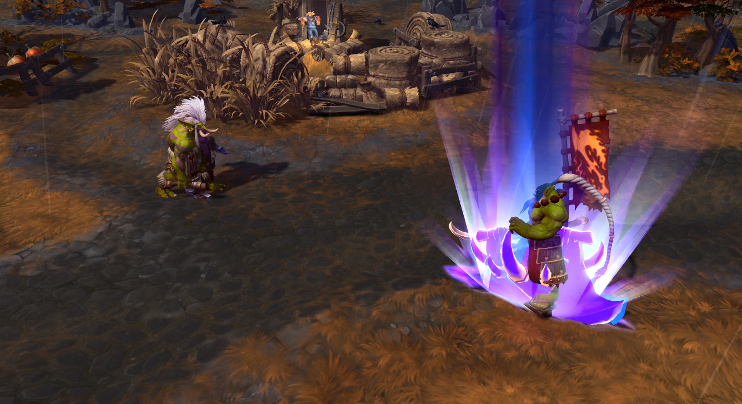 Moving while channeling or taking damage will interrupt this effect. For the next 4 seconds, Zul'jin is Unkillable, and cannot be reduced to less than 1 Health. Taz'dingo! 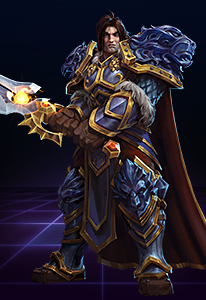 Zul'jin launches a massive axe into the air that drops on the targeted area, dealing 330 damage plus bonus damage the lower his Health is.